Frames (often called “tables”) are an important element of ground-mount arrays. 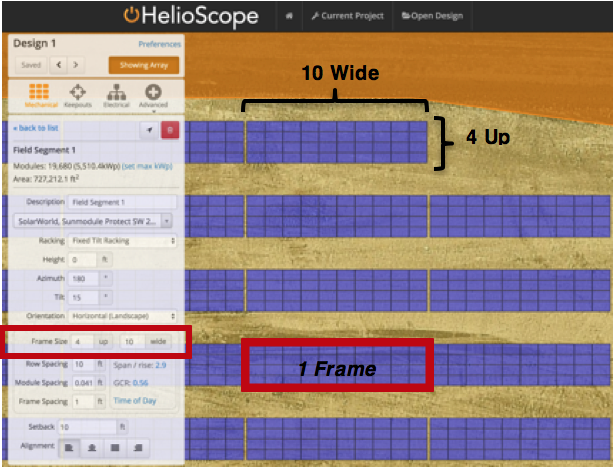 To create a ground-mount design, users should set their modules “up” to the desired depth of the bank (seen below as 4 up), and the width according to the length of the table (seen below as 10 wide). Users often want to design Ground Mount arrays centered on an access path. 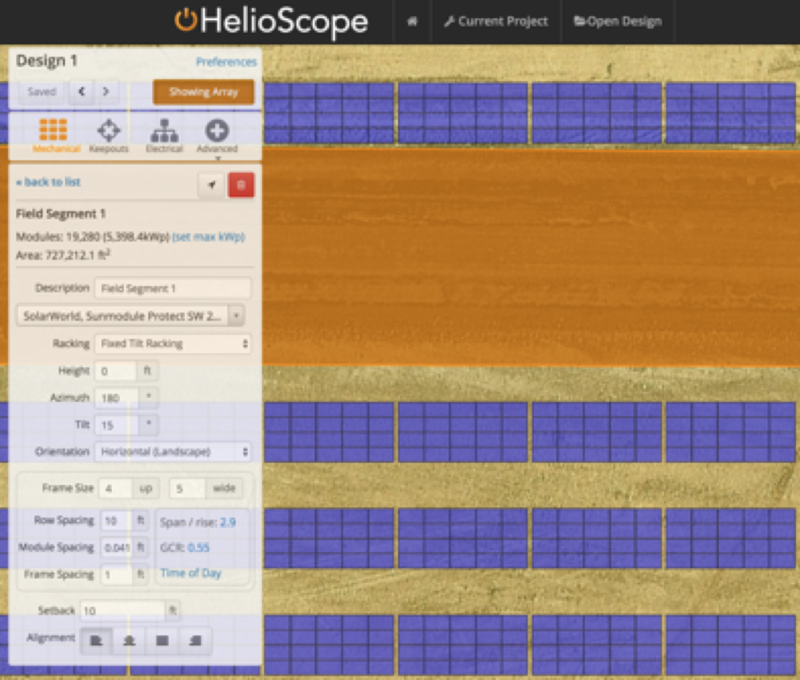 With HelioScope’s Alignment function at the bottom of each field segment, this can be accomplished by splitting ground mounts into two field segments, one left-aligned and one right-aligned, to achieve the desired walkway-adjusted effect. 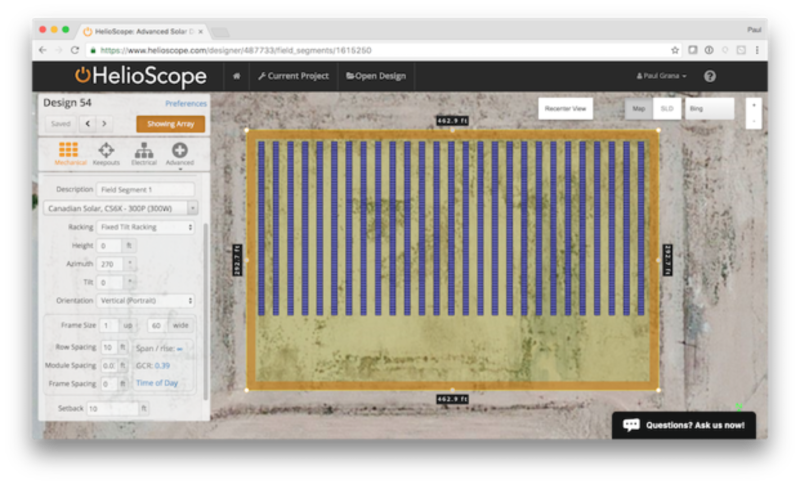 To make sure the rows are aligned to each other on each side of your access path, use the align to click function.